Center section of the Tappan Zee Bridge, where getting to the other side seems as implausible as rescue, and yet, the sky is so very blue. This entry was posted in Uncategorized and tagged sky, tappan zee bridge. Bookmark the permalink. And I was SO sure this was going to be about cats. 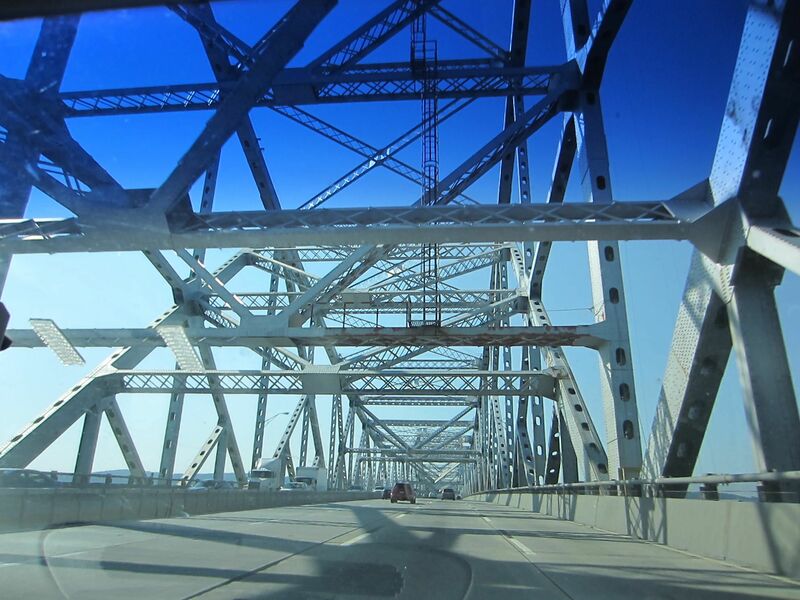 The Tappan Zee can be very scary. I don’t know whose paws covered my eyes.